Irrfan Khan, on Monday evening, logged into Twitter to make a sudden announcement that left fans and followers shocked. Hours after the 51-year-old actor wrote about contracting a "rare disease," the director of his upcoming film Blackmail, told mid-day that he was completely unaware of Irrfan Khan's medical conditions. 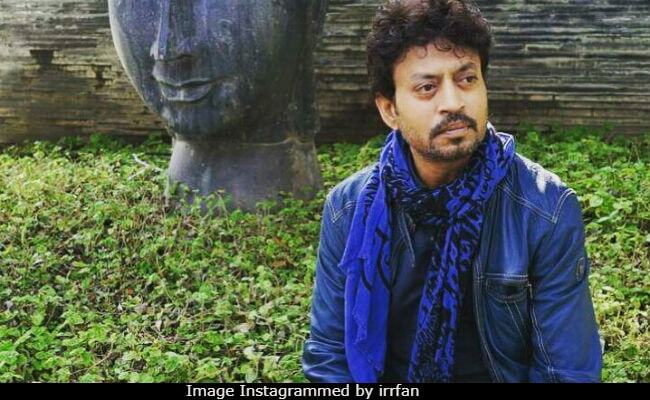 "I read his message on Twitter and it was shocking to find out about this health," Abhinay Deo, who has directed Irrfan Khan in Blackmail, told mid-day in an interview. The filmmaker, who spent considerable amount of time with the actor on Blackmail sets, added that Irrfan showed no signs of deteriorating health during shooting schedules and that he did not talk about his illness. "He never showed any signs of illness while we were shooting for Blackmail, nor did he mention anything about it," mid-day quoted the director as saying. Abhinay Deo, who learnt about Irrfan's condition only after the actor released a statement, hasn't spoken to himyet because he and his family "need their privacy" at the moment. The director also said that Blackmail, which is scheduled to arrive in theatres on April 6, may be rescheduled according to the need of the situation. "As of now, the film is going to release as per schedule on April 6. It all depends on what news comes from Irrfan and his doctors' end. Then we can take a call and defer the release if needed," Mr Deo told mid-day. On Monday evening, Irrfan Khan wrote about having diagnosed with a "rare disease", asking that speculation be given a rest as he himself will share updates about his health in a few days. Here's his full note: "Sometimes you wake up with a jolt with life shaking you up. The last 15 days, my life has been a suspense story. Little had I known that my search for rare stories would make me find a rare disease. I have never given up and have always fought for my choices and always will. My family and friends are with me and we are working it out the best way possible. In trying times, please don't speculate as I will myself share with you my story within a week - 10 days, when further investigations come with a conclusive diagnosis. Till then, wish the best for me!" Irrfan Khan co-stars with Kirti Kulhari in Blackmail, a dark comedy. Best known for films like Paan Singh Tomar, Piku, Hindi Medium and The Lunchbox, Irrfan Khan was last seen in this year's Qarib Qarib Singlle.